Now Available! 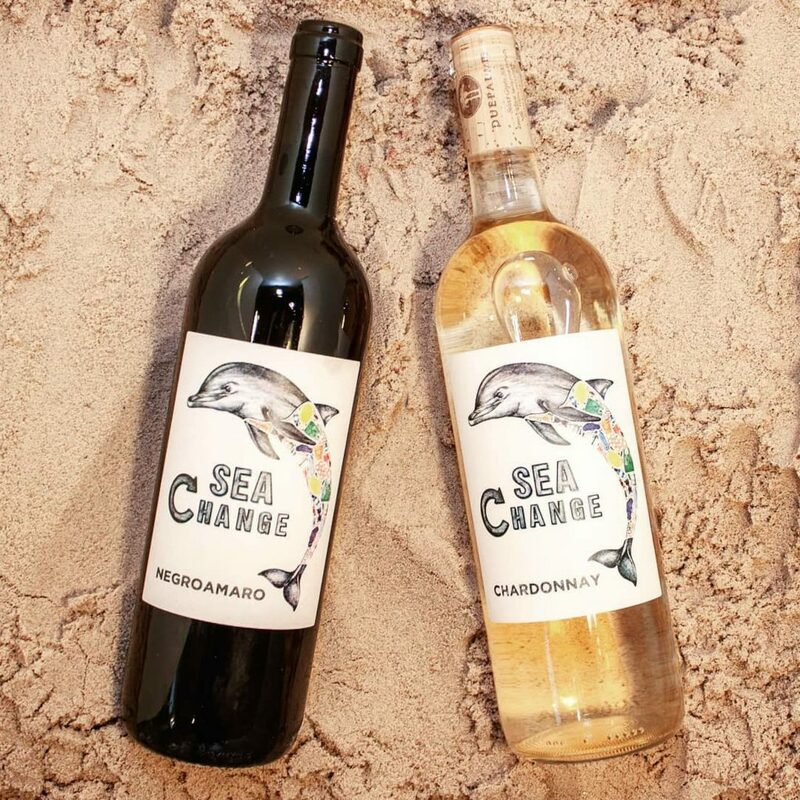 ‘Sea Change’ is a range of ethically sourced, environmentally conscious wines that support ocean conservation through direct partnerships with key ocean and marine focused charities. The range has been designed with minimal packaging in mind to reduce potential waste and to maximise its environmental credentials. The range has also been commended by Sir David Attenborough himself. A lightweight glass bottle designed to minimise transport impact and raw material usage. No plastic used in the finished product in contrast to the majority of wines. ‘Grape Touch’ labels have been used, which consist of 15% recycled grape waste with the remaining raw materials coming from FSC certified forests ensuring environmental and social benefits. Specially selected closures that contain no plastic elements and are fully biodegradable. No capsule covers are used on the wine with a view to minimising unnecessary packaging and to enhance the ease of recycling. The Italian range includes 2 IGP quality wines. A red and a white produced by Cantine Due Palme in Salento, Italy. The varietals are Negroamaro, and Chardonnay. A versatile and easy-drinking delight, Sea Change Negroamaro is medium-bodied and well-balanced with flavours of berry fruits, especially red and black cherry at the fore front. A lovely lingering finish – this wine is one to savour. Easy-drinking and full flavour, fresh citrus and tropical fruits dominate the palate. Notes of black pepper and lime pair with a crisp, mouth watering acidity. A well-balanced structure with a soft delicious finish. If you have any questions or would like to place an order, please contact us by email or phone. Celtic Wines was established in 2004 as an Independent Wine Merchant to the trade. We have a wealth of knowledge and experience of the wine industry and that has been key to our success. We have quickly gained a reputation of being a first class supplier and passionate about the wines we source.